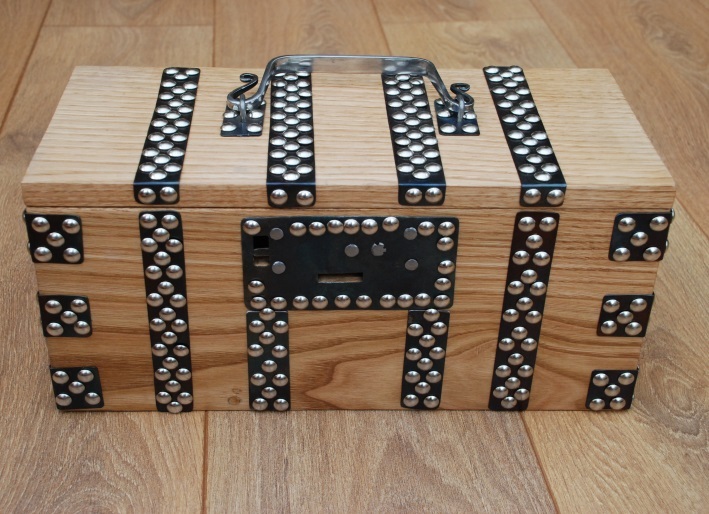 We can produce a range of boxes to suit your requirements, from small jewelry and sewing boxes, to large chests. 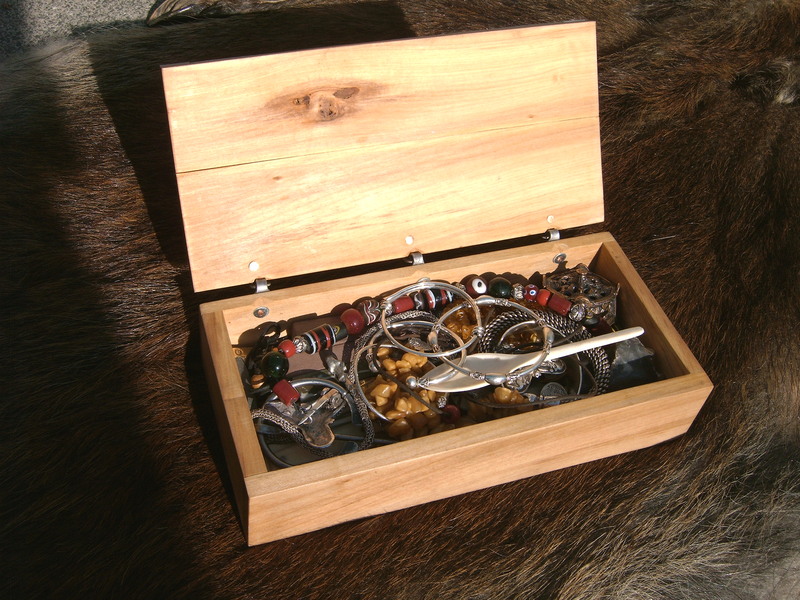 The below example is a small limewood jewelery box with a decorated bone plaque top, based on finds from York. 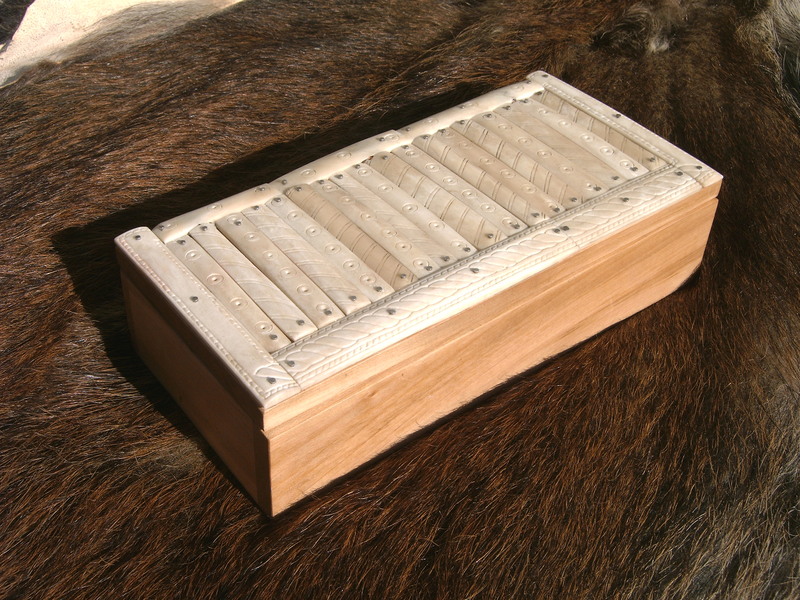 Similar Bone plaque decorated boxes have been found in London and Dublin, and can date from the 9th-11th century, but have been found as late as the 15th century. 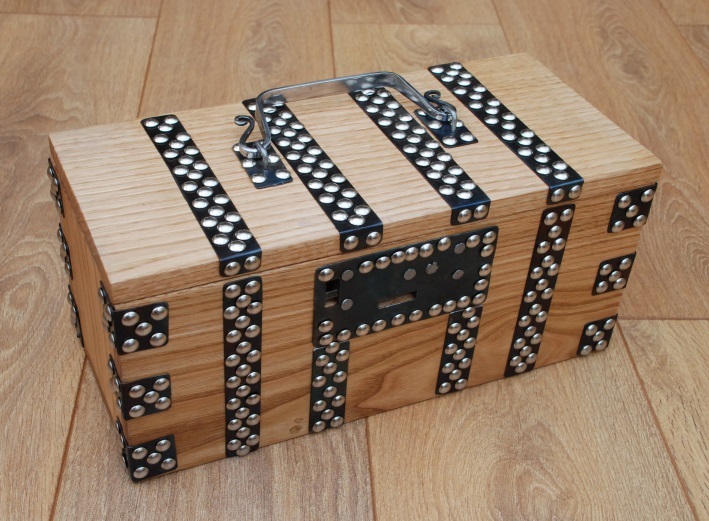 The below example is based on an original example from Birka, with variations of the decorative schemes from Oseberg and Cumwhitton, including a handmade lock. The metal has been fire blued to retard rust and tarnishing, and provide a striking contrast to the decorative nails.